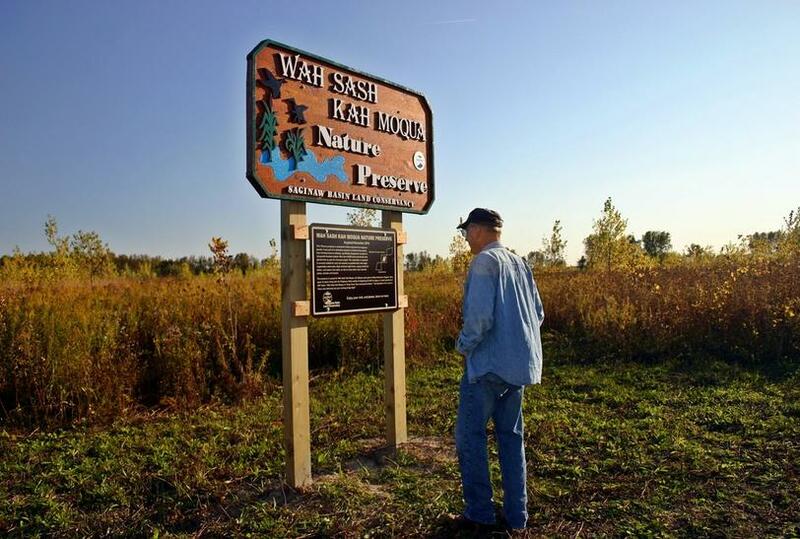 Wah Sash Kah Moqua Nature Preserve is on Arenac Bay Line Road, a few miles southeast of Standish. 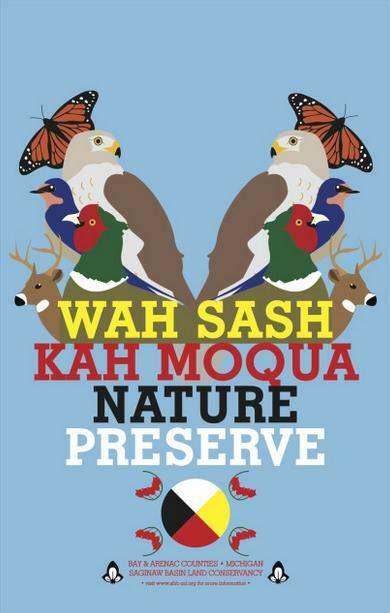 A former farming location, the 140 acres of Wah Sash Kah Moqua now provide a unique mix of grassland and emergent wooded habitat. Nesting Northern Harriers are common at Wah Sash, and the mature windbreak treeline is a combination of mighty oaks, cherries, and maples, providing cover and food for a unique mix of songbirds. Many nesting Kingbirds along the south boundary of the main, central parcel often provide an entertaining show for visitors and flocks of Cedar Waxwings are omnipresent, along with the resident Eastern Bluebirds and Tree Swallows (there are are many habitat boxes along the trail network). Great Horned Owls nest on or around the property periodically, and Red-shouldered Hawks have been sighted here during migration. A fantastic road-end provides clear views to the Saginaw Bay shoreline for gulls, terns, and waders at the end of Bay-Arenac County Line Road.